This wine might become available again in limited quantities. Do you want to be informed when? Banfi was founded in 1978 thanks to the will power of the Italian-American brothers, John and Harry Mariani. From the beginning, the goal of the two brothers was to create a state-of-the-art winery combined with the most advanced science in the vineyards for the production of premium wines. Together with the Mariani family, it was developed with Ezio Rivella, one of Italy's foremost oenologists, who understood that due to the richness of the soils and the privileged microclimatic position, the property would have great capacity of development. 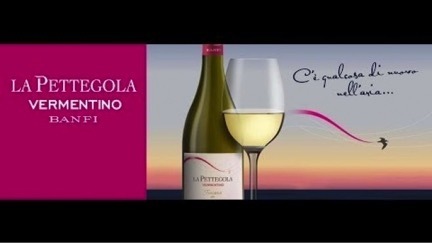 Most recent white wine born at Banfi, La Pettegola is characterized by its aromatic expression, rich and delicate, as well as for its lively acidity. Since wine bottles are fragile, we work with a specialized transporter. They will send you an email a few days after the end of the sale to schedule a delivery day. Your invoice will be automatically sent to you after your purchase. Please fill in the usual information while placing your order (name, address, VAT number). You can also contact us through: support@upperwine.com. Please check the status of the case and bottles upon delivery. If you want to return your order, please send an email to support@upperwine.com. Returns will only be accepted in their original and closed packaging. The original cardboard boxes contain 6 bottles. If an order contains less bottles, they will be repackaged in cardboard boxes that are not original.